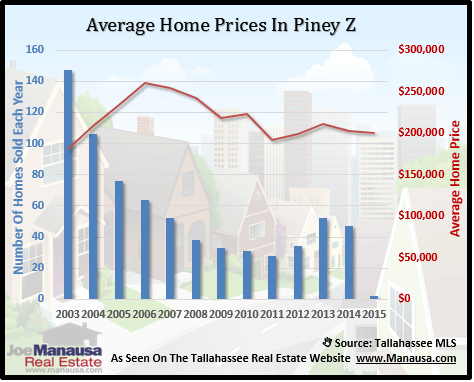 Home sales in Piney Z are showing a trend that I do not think has been identified anywhere else in the Tallahassee real estate market. Though I continue to study and review each of the major neighborhoods in Tallahassee, it is rare that I find one performing completely different than the others. But Piney Z has actually seen fewer home sales every single year (when compared to the previous year) and this trend started in 2004. Most Tallahassee neighborhoods are seeing the number of sales fluctuate some, and down about 45 to 50 percent since the peak, but not Piney Z. 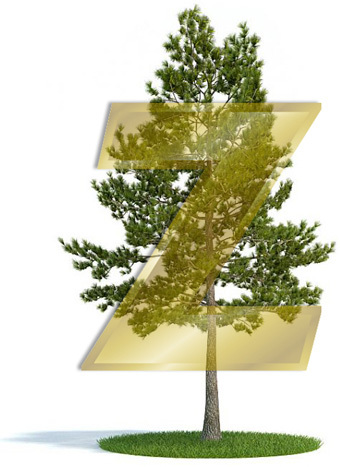 Currently, there are 26 homes for sale in Piney Z, with the lowest priced at $135,000, and the highest priced at $285,000. This first real estate graph shows that Piney Z dropped from 147 home sales in 2003, to just 28 in 2011. That is a decline of 81%, and the pace thus far for 2012 is even lower! Both home prices and home values have jumped up with the few home sales thus far in 2012, but time will show if we are going to see if sellers can sustain this fight against depreciation. From a positive standpoint, we can see how values have not fallen as much in Piney Z as they have elsewhere in Tallahassee, but unit sales are so low that I really suspect a serious level of pent-up supply is ready to explode on the market when sellers who must move can holdout no longer. 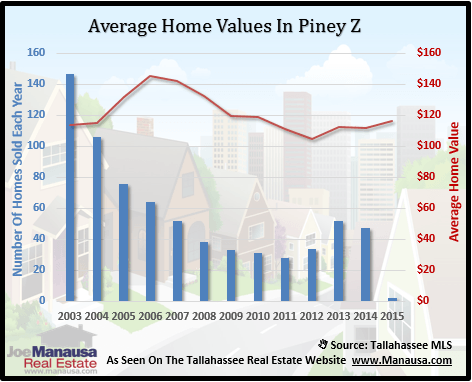 Please come back again to see more Tallahassee neighborhood reports, and you can always bookmark this link if you want updates on home sales in Piney Z.